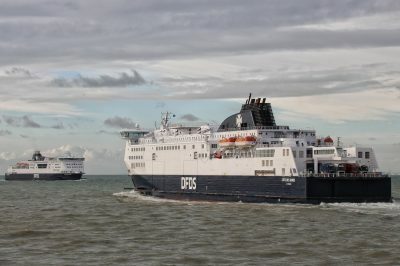 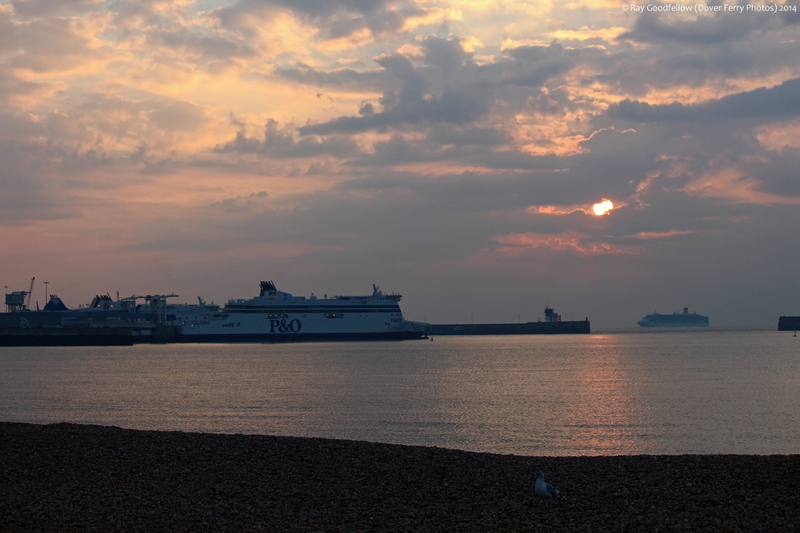 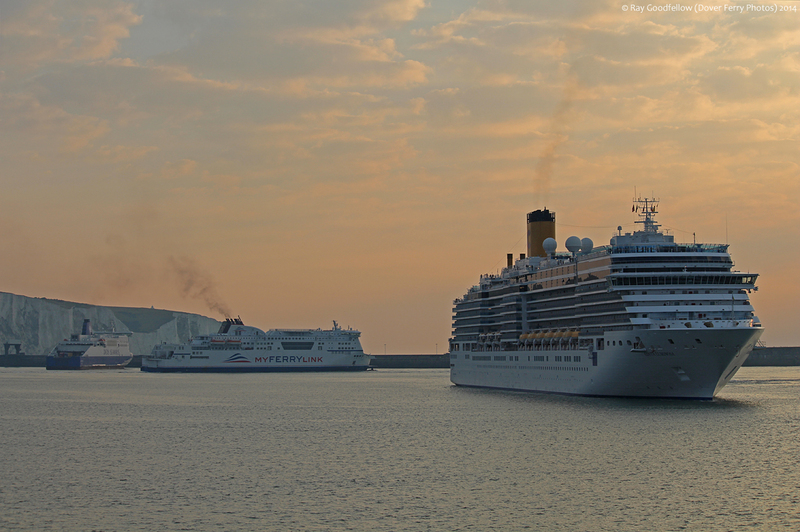 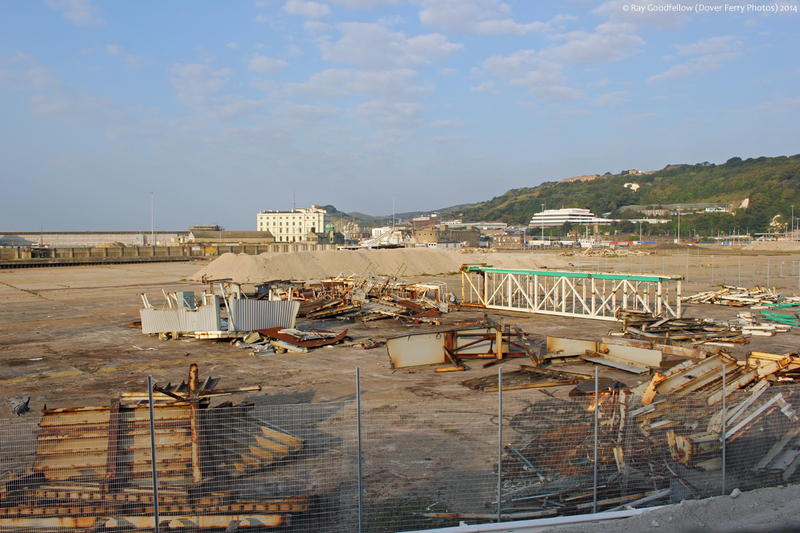 With the cruise ship season here in Dover rapidly drawing to a close we have witnessed a mass exodus of ships from the Northern Europe cruise circuit over the last few weeks. 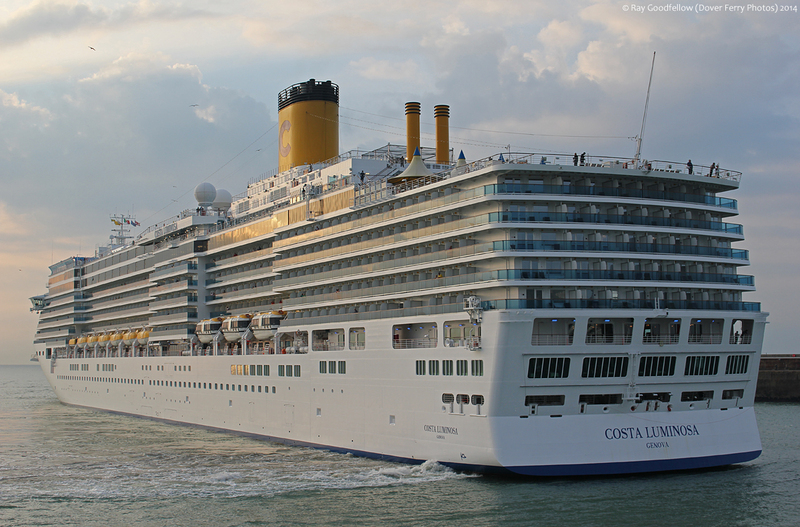 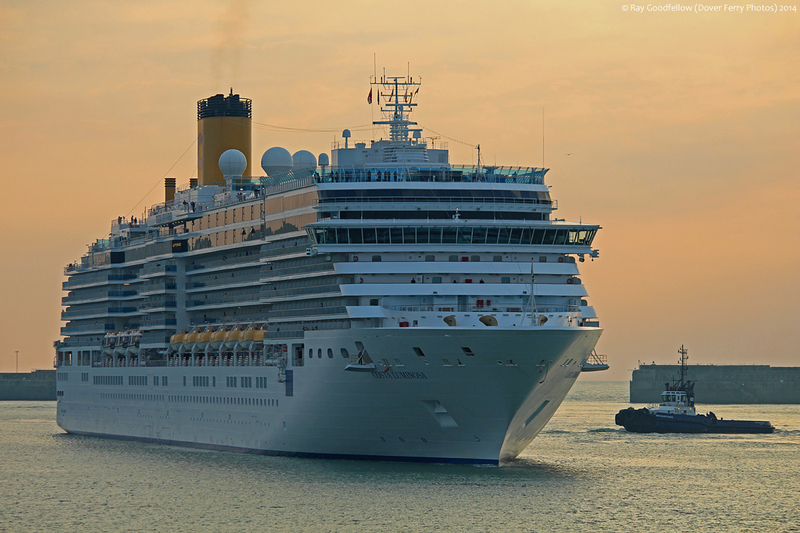 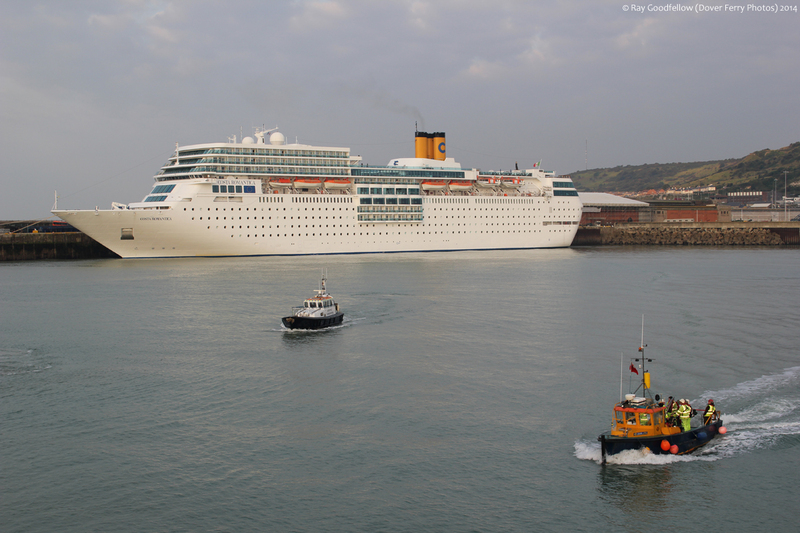 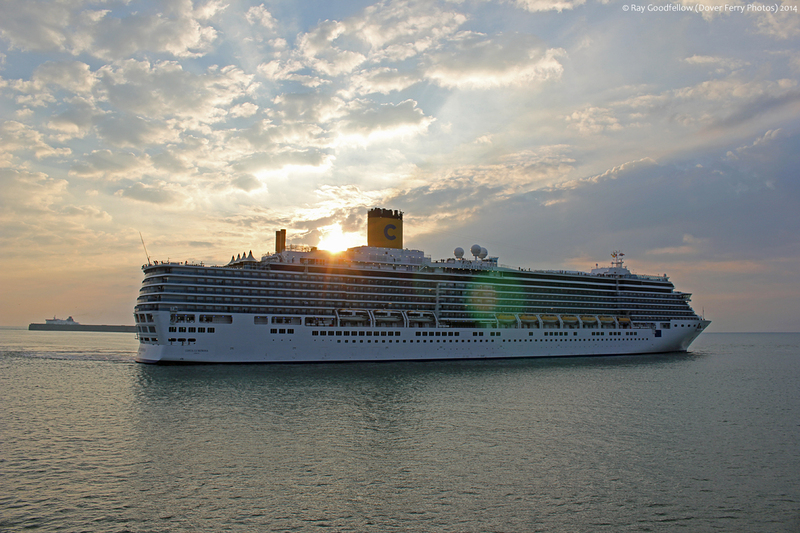 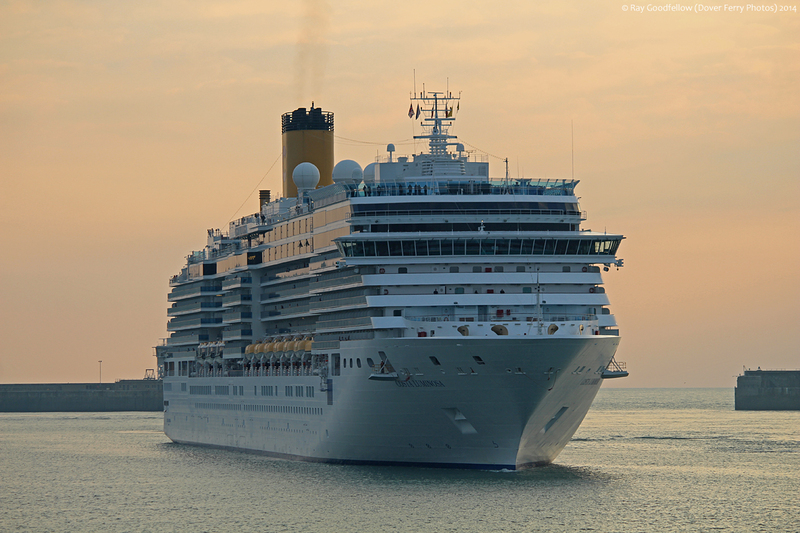 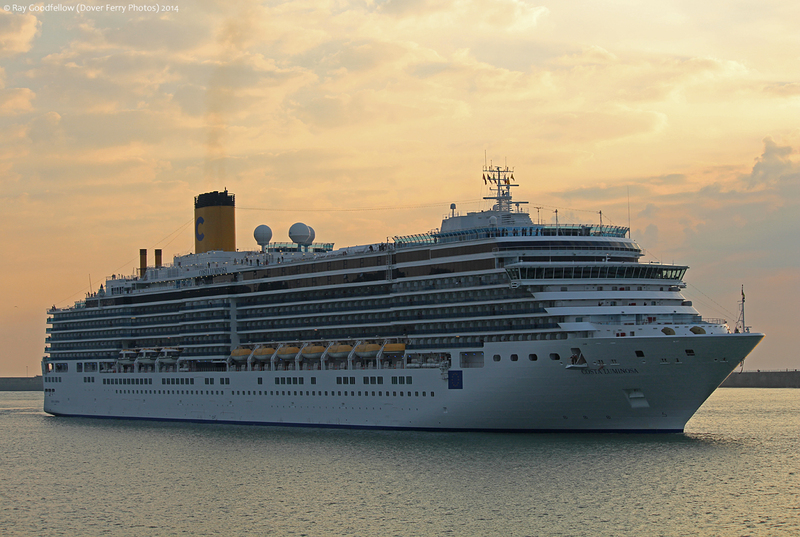 Costa Pacifica was in port yesterday and today we have had two further vessels from the Costa Crociere fleet, the Costa ‘neo’ Romantica and the Costa Luminosa. 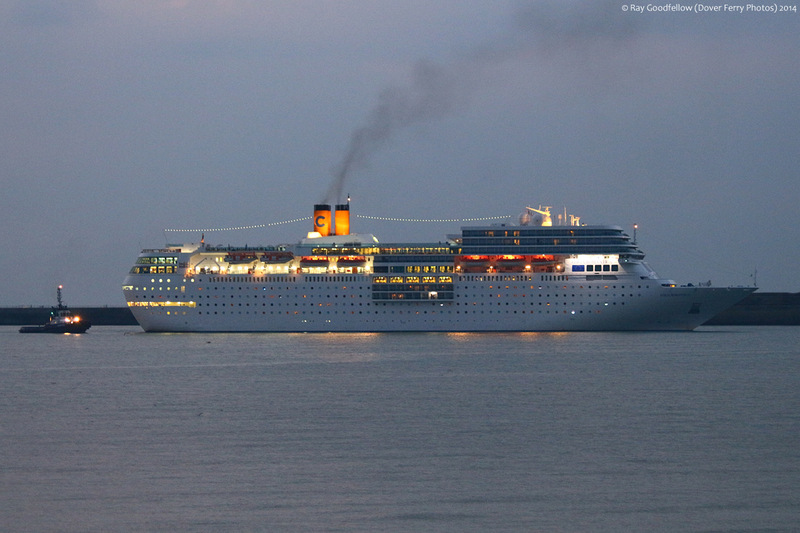 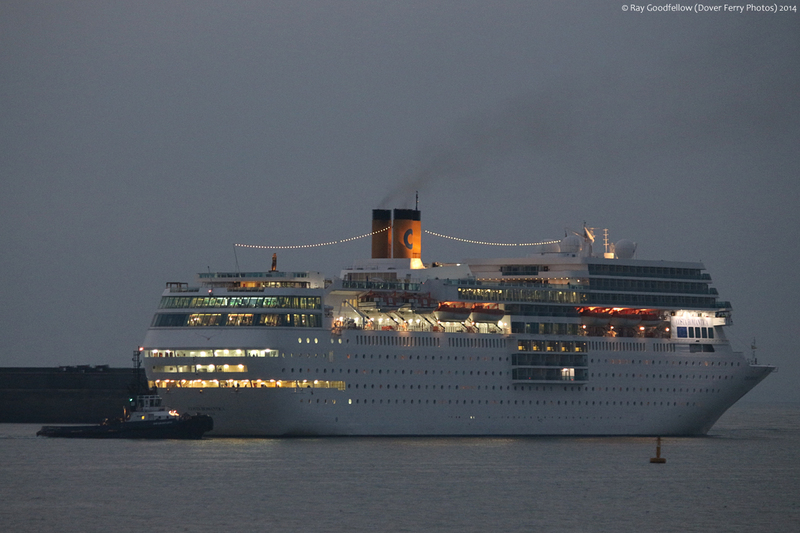 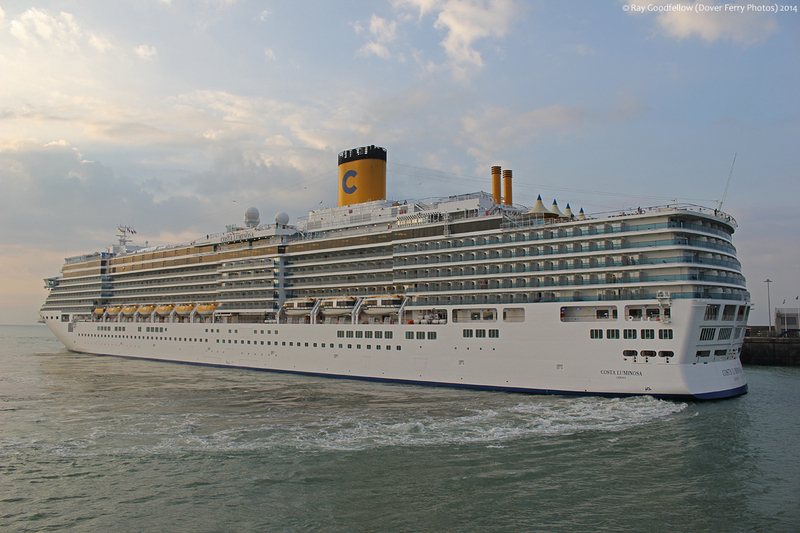 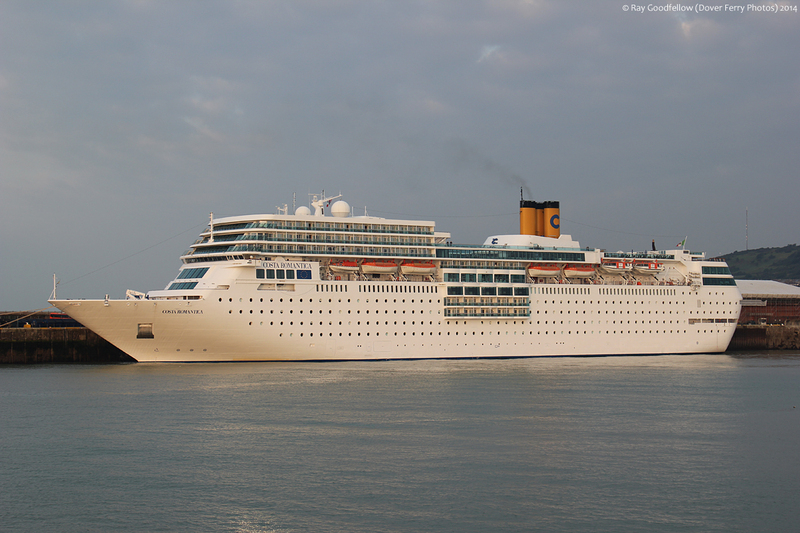 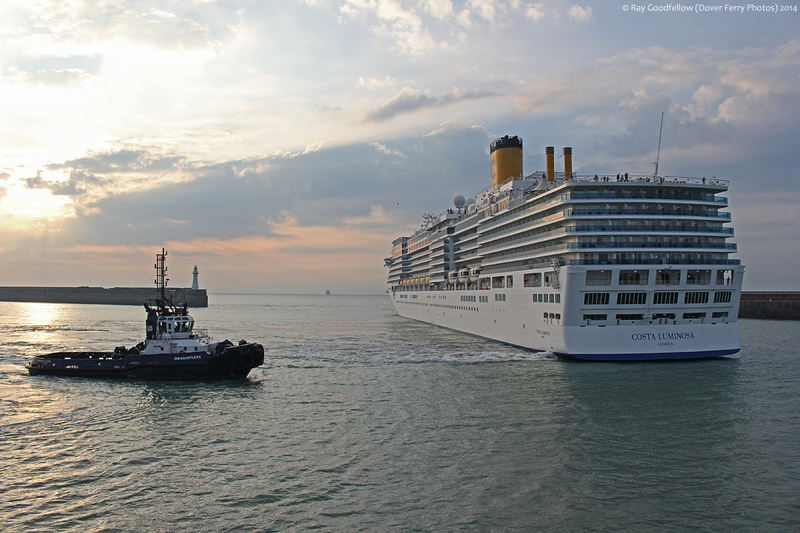 The Costa neo Romantica departed Amsterdam last night and arrived off the port early this morning. 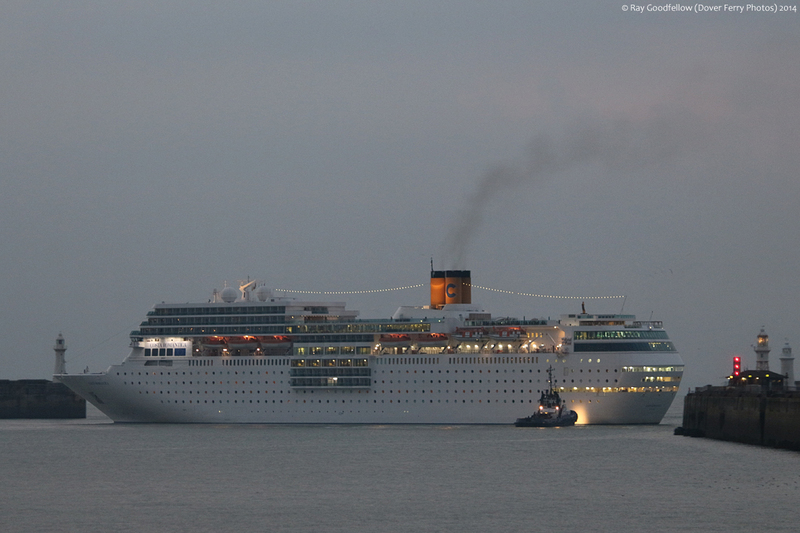 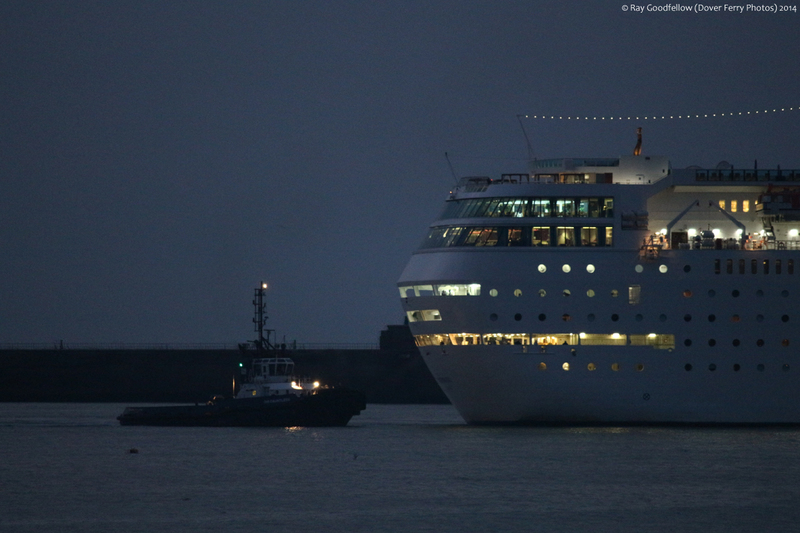 She entered via the Eastern entrance at 0545 and proceeded across the bay before going astern to Cruise Terminal 1. 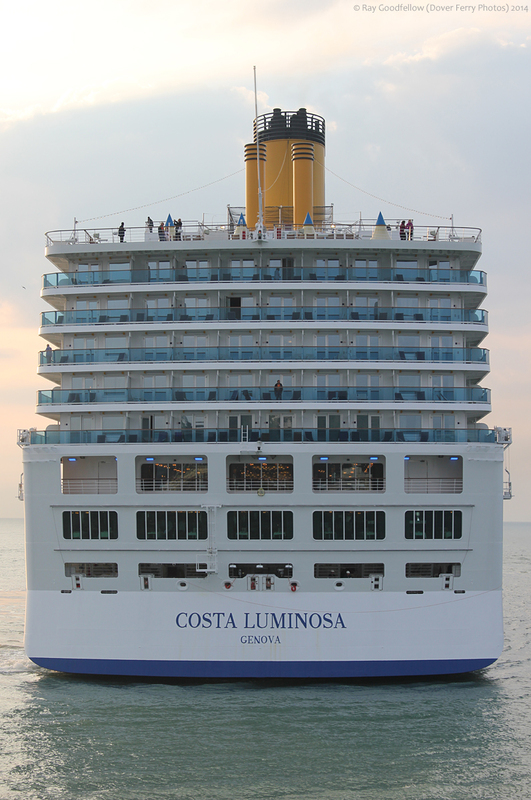 The Costa Luminosa departed Copenhagen on the 6th September and arrived off the port at 0640 and was passing through the Eastern entrance at 0700. 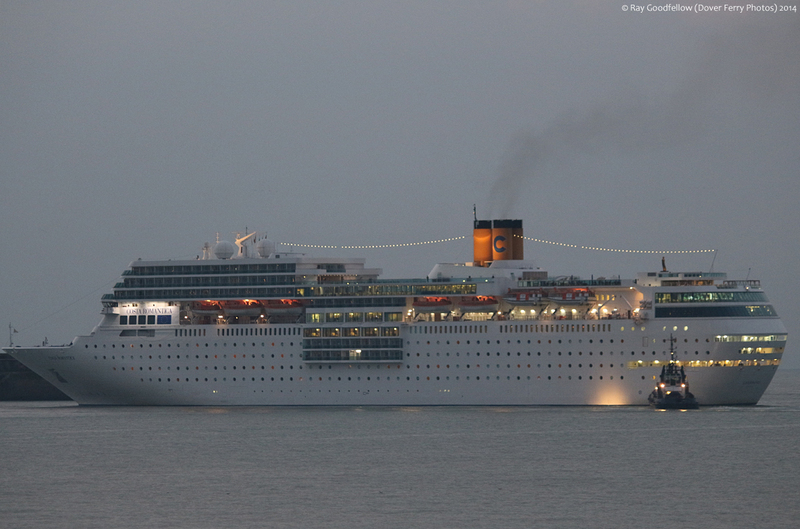 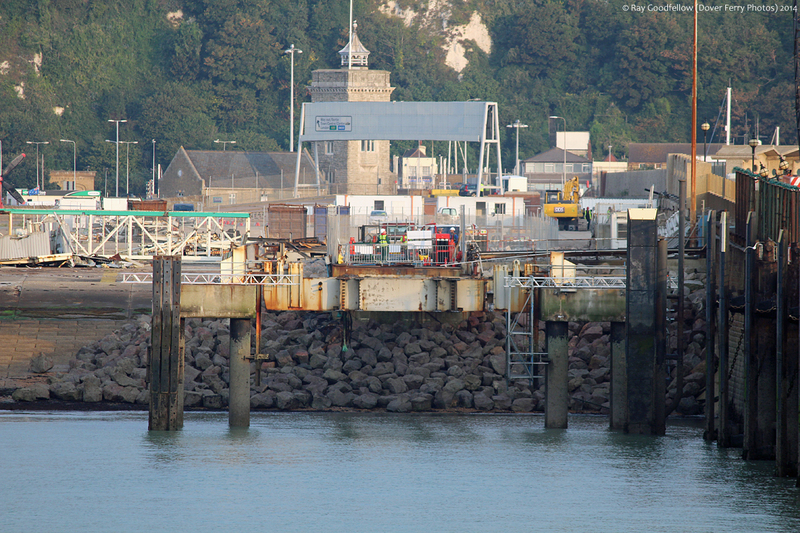 After proceeding across the bay she swung in the Western entrance before going astern to Cruise Terminal 2. 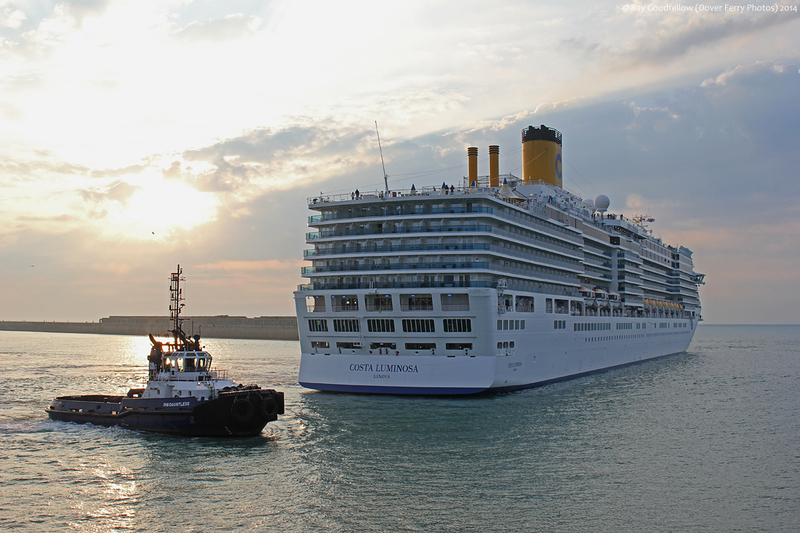 The Costa neo Romantica arrived in relative darkness so please excuse the quality of the photographs, I was travelling light so the tripod was left at home. 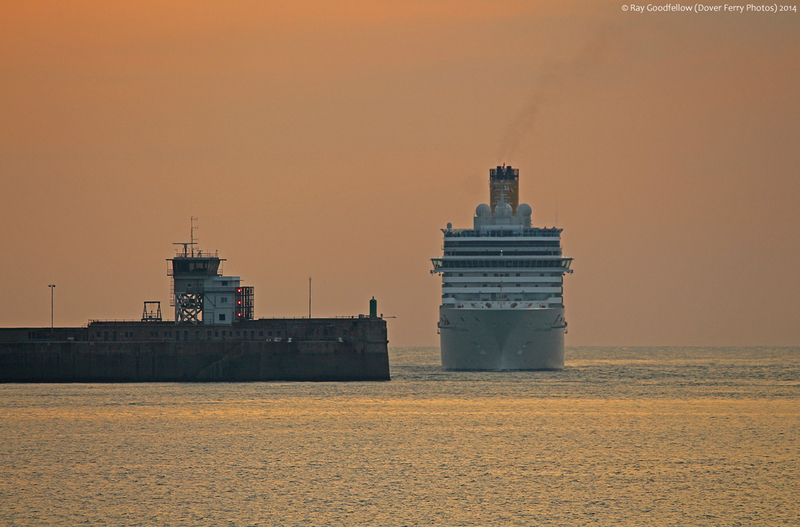 The Costa Luminosa arrived at dawn and even though I am a regular early riser for work (starting at 0530 everyday) I seldom get to see the sunrise so it was a pleasure to see one of nature’s spectacles once again. 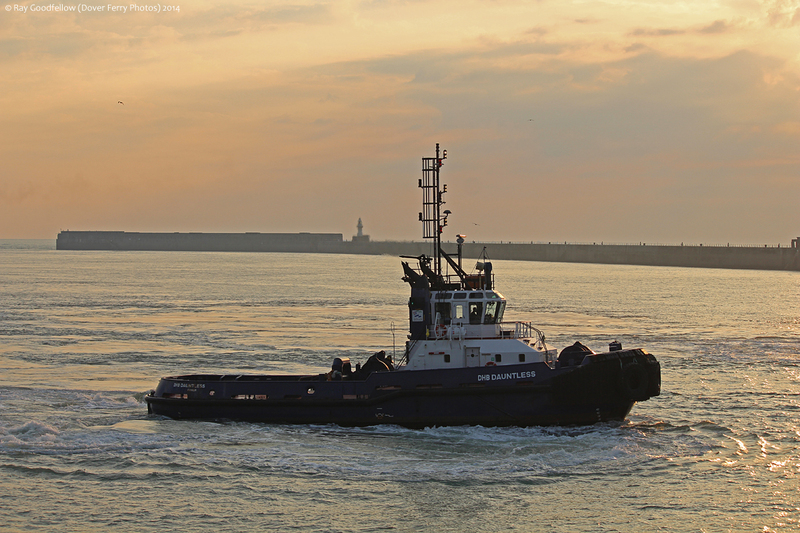 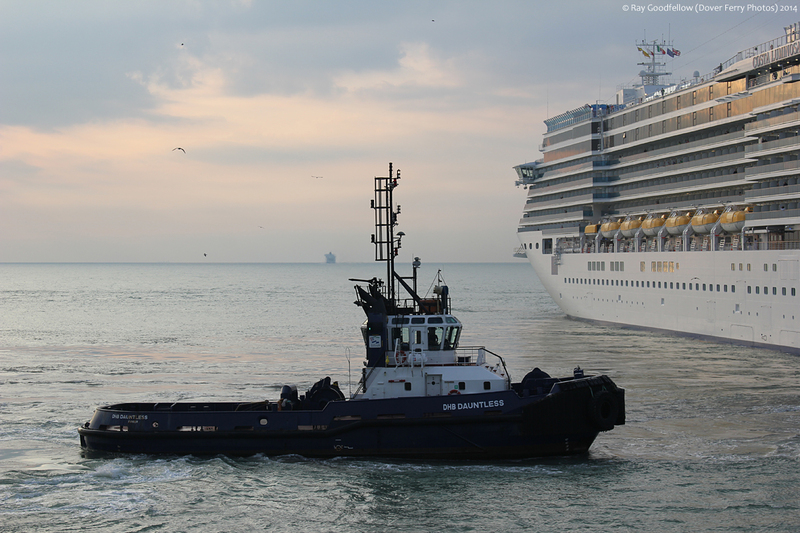 The duty tug today was the DHB Dauntless and it was good to see the crew flexing their photography skills as well. 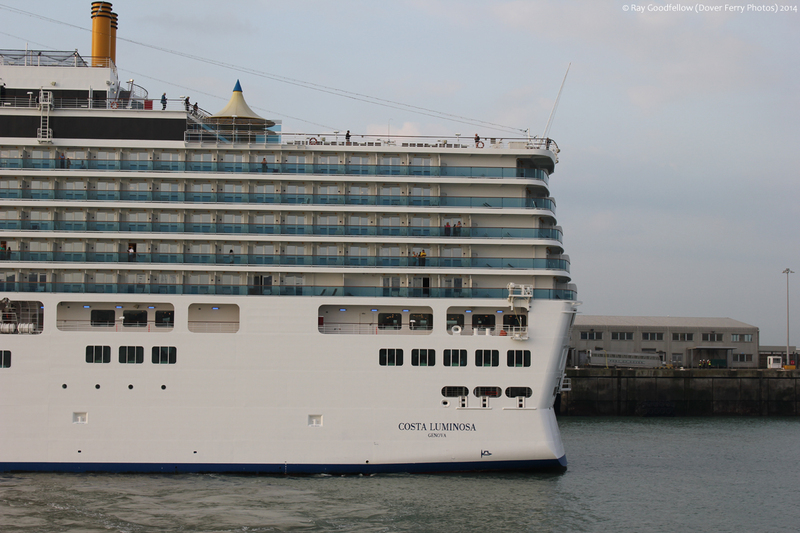 With the season now drawing to a close this will probably be the last set of cruise ship arrival photos from myself this year but have no fear there will be plenty of photographs from our recent announced Irish Sea adventure which is coming up in October. 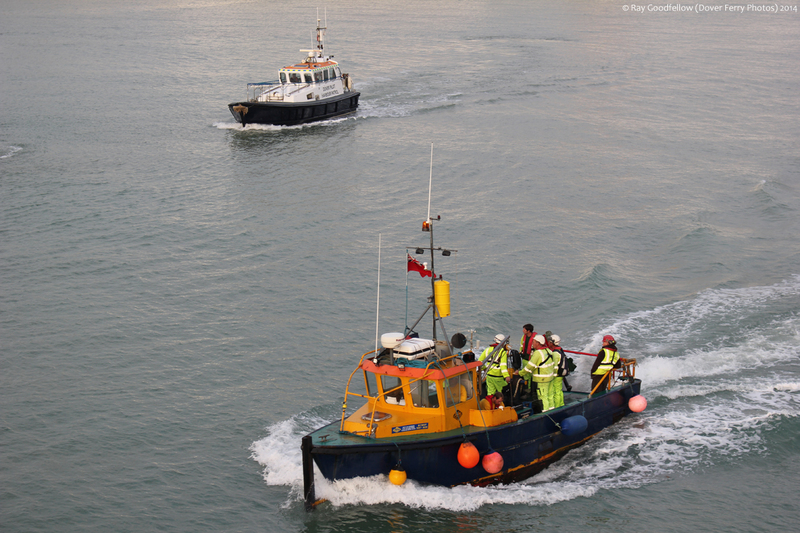 Stern view of the, well there is no need for me to name this one really is there? 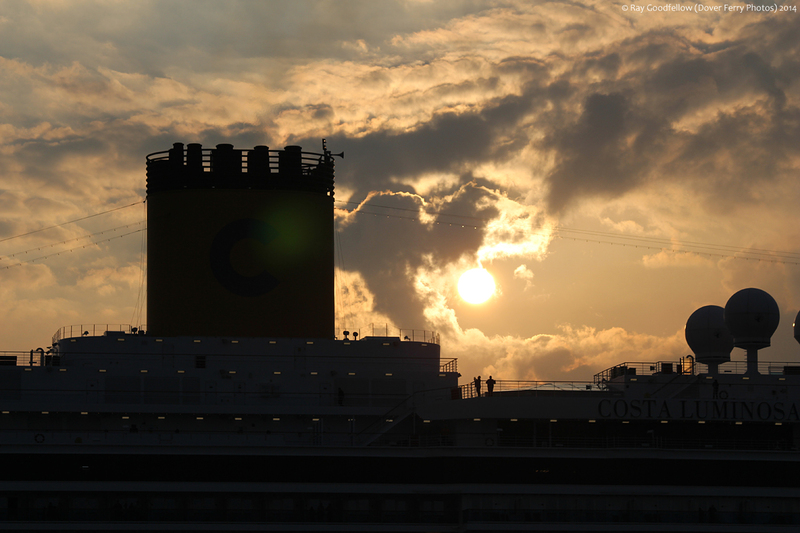 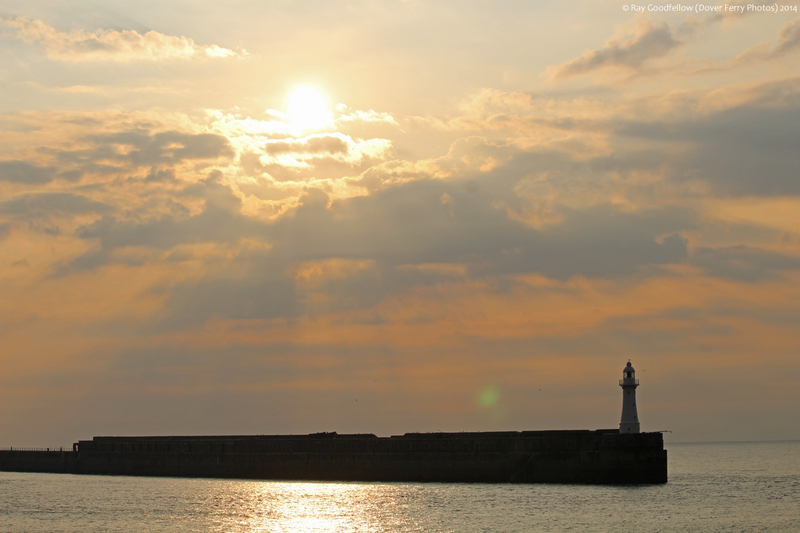 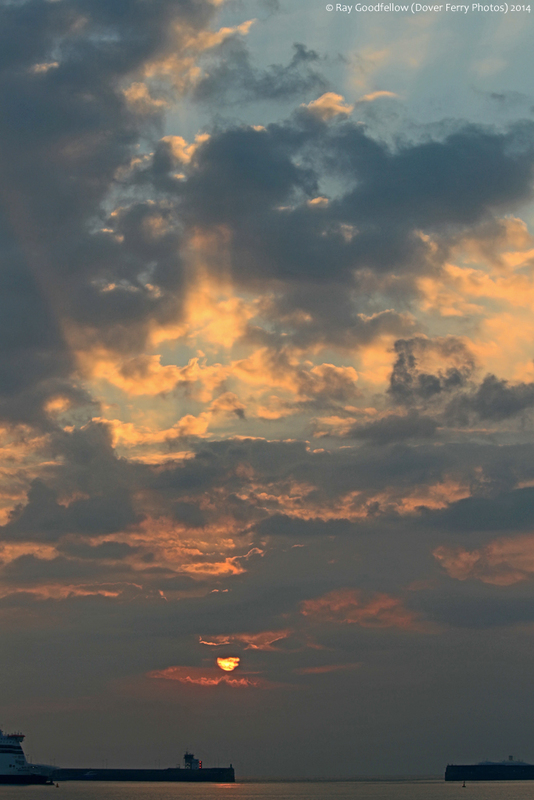 All photographs were taken with a Canon EOS 550D and Canon EOS 700D.